Welcome to Reach Radio, the home of hard-hitting topics! We provide an alternative and crazy twist on news, faith, and more. We walk the line of censorship with topics like Priests, Candy, and Kids! Our podcasts drop every Wednesday. So buckle up, toss in those earbuds, and enjoy your weekly journey into topics that matter. 1. Faith Walk, Ain't no Cake Walk! 2. Churches Talk a Big Game. 3. Priests, Candy, and Kids. 4. Fornication; The Other F-Word. 5. Higher Education = Bull Poo! Higher Education = Bull Poo! Hello and welcome to Reach Radio! Hopefully, you'll enjoy this high octane podcast. We cover student loan debt, old ladies fighting at hockey games, the upcoming financial crisis, and more! Side Note, make sure to catch next weeks podcast "You're a Christian and a Democrat? Can the two exist?" So, toss in those earbuds and get ready for topics that matter! Welcome to Reach Radio! It's finally here. The Podcast everyone has been waiting for "Fornication; The Other F-Word". We discuss the Thailand cave rescue, the opioid pandemic in America, and why fornicating can be a sketchy situation in God's eye. Plus, you'll love what tactic my mother used to scare me into abstinence. So, toss in those earbuds and get ready for topics that matter! Welcome to episode four! This one's a little crazy. We cover online dating (being catfished), artificial intelligence (Alexa), what happens when lamps start moving on their own, and extraterrestrial phenomenon. Get ready for 18 minutes of high energy. Also, catch next weeks episode "Fornication; The Other F-Word!" Hello and welcome to Reach Radio's third podcast! Today, we'll be discussing the naughty behavior of some priests within the Catholic Church. What are your thoughts? Should priests be able to get married? On the News side, we'll cover the United States Space Force and the hot topic surrounding family separation at the border. (immigration zero tolerance policy)! So, toss in those earbuds and get ready for topics that matter. Churches Talk a Big Game! Welcome again to Reach Radio. 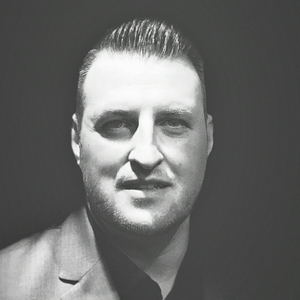 Today we talk school shootings and why the church talks a big game. Come on churches, put your faith where your mouth is. Get off your butts and do something for your faith. Side note, you'll love next weeks topic "Priests, Kids, and Candy". 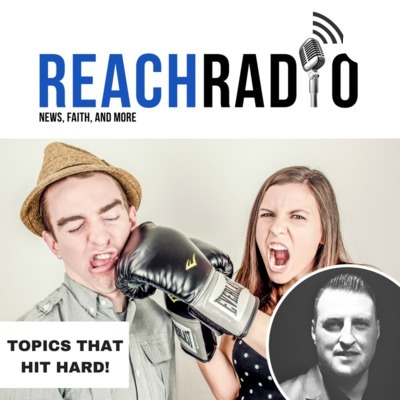 Welcome to ReachRadio's very first episode. This episode targets news and the difficulties of walking in faith. Forget the naysayers! Being a Christian is tough stuff. So, if you're feeling pressure when the walk gets tough, don't get discouraged. Reach Radio has your back!